“You don’t have to lose teeth to periodontal disease” forms the central message of this best-selling gum disease treatment brochure. Utilizing powerful new illustrations, it guides patients to accept needed treatment by showing periodontal disease in vivid detail. It also provides clear and concise explanations for how perio is diagnosed and treated through probing and x-rays. 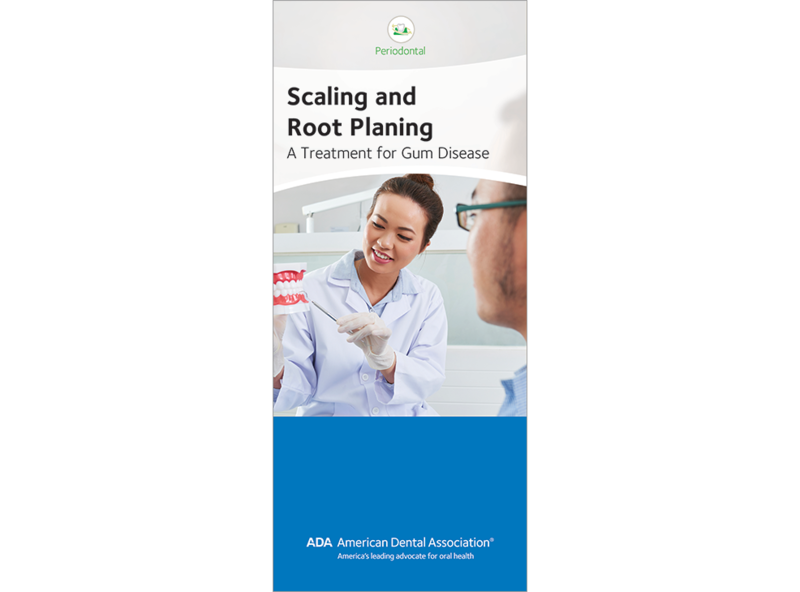 This scaling and root planing brochure from ADA will help your patients understand causes and treatments for gum disease, so they can accept needed treatment. Order your copies of “Scaling and Root Planing: A Treatment for Gum Disease” today!